Beautiful property nestled in among trees with private backyard and walking trail. 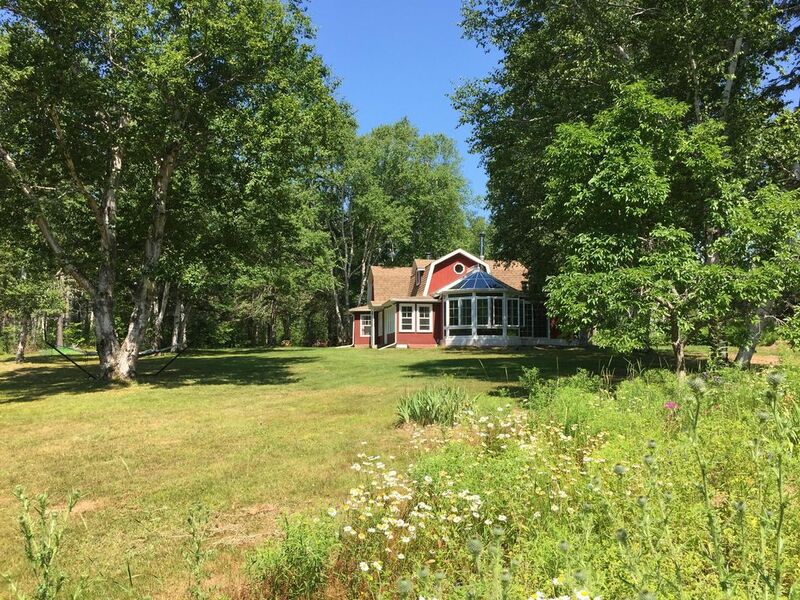 The property is situated in south-eastern PEI, only minutes from the beach (and the Wood Islands Ferry). The house is surrounded by a small private park with plenty of room for outside activity. Privacy is assured. Inside, the house offers a lot of living space with lots of options: Two bedrooms (one King, one Queen), parlor, living room, sun porch and a large kitchen/dining room, situated in a solarium. Ideal for a getaway vacation. Close proximity to beaches and Confederation Trail.